How to translate WordPress theme to another language? HelpHow to translate any WordPress theme into another language? How to translate any WordPress theme into another language? 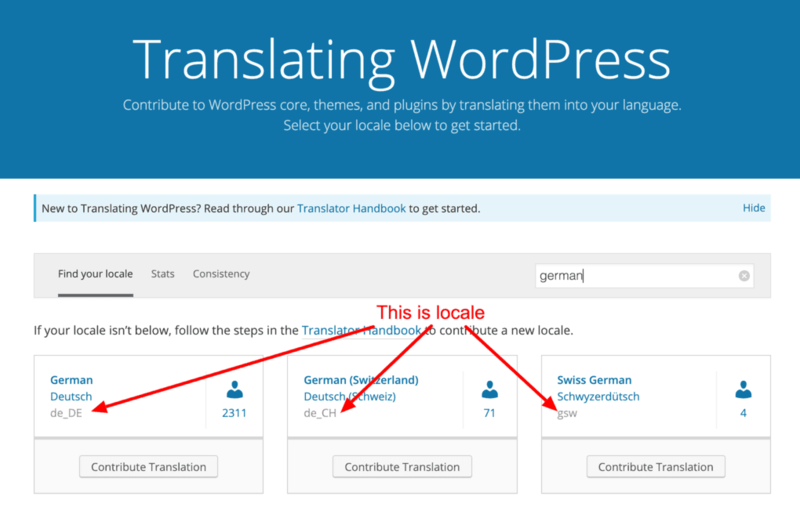 All our WordPress themes are translation ready which means that you can translate them to any language you need. Here are instructions on how to do so. First, you need to change your language of WP installation. This can be done by going to Settings → General, where you can set the Site Language option and save the settings. Next, find the languages folder of the theme: wp-content/themes/<theme-slug>/languages/. There you will find a file <theme-slug>.pot (for WoonderShop this file is named woondershop-pt.pot, for BuildPress it’s buildpress.pot etc.). Load this file (as the catalog) in the PoEdit and start translating. When done, save the .po file in the folder wp-content/languages/themes/ and name this file regarding your locale (you can find your locale on this page – see how you find it). For example: for German language you would name your file: woondershop-pt-de_DE.po. The corresponding .mo file will be automatically created next to the .po file. Note that it is not recommended anymore saving translation files in the theme directory (where you found the theme-slug.pot file), but in the wp-content/languages/themes instead. This way translations are kept when you update the theme. And that’s it, your translations should work now. How to translate widgets in our newer themes? In our newer themes (WoonderShop, CargoPress, LegalPress, RepairPress, StructurePress …) widgets are separated from the theme so you have to translate them separately. So all you have to do is translate the proteuswidgets.pot file, that can be found in wp-content/themes/<theme-slug>/languages/proteuswidgets/. Stick to the same instructions as above, but use this pot file instead and place the generated .po and .mo files in the folder wp-content/languages/themes/ with filenames like proteuswidgets-de_DE.mo. How to translate the widgets in our MentalPress theme? In our MentalPress theme, widgets are included as a separate plugin. So you have to translate the file wp-content/plugins/proteuswidgets/languages/proteuswidgets.pot. Also, you have to save the .po and .mo files in the following format: proteuswidgets-<your-locale-goes-here>.po. So for example, German translation files would be named: proteuswidgets-de_DE.po and proteuswidgets-de_DE.mo. When you translate the theme to any new language, you can share the po/mo files with the rest of the community. Don’t be shy, please send us a .po file, we will include it in the next theme update. If you find this method to complex, you can translate your theme with Loco translate plugin, but you will not be able to translate our widgets on newer themes. Here is another great tutorial from WPZOOM. If you placed the translation files directly in the folder <theme-slug>/languages/, they will be lost if you update the theme later on and you will have to put the .po/.mo files again in the same folder after the update. 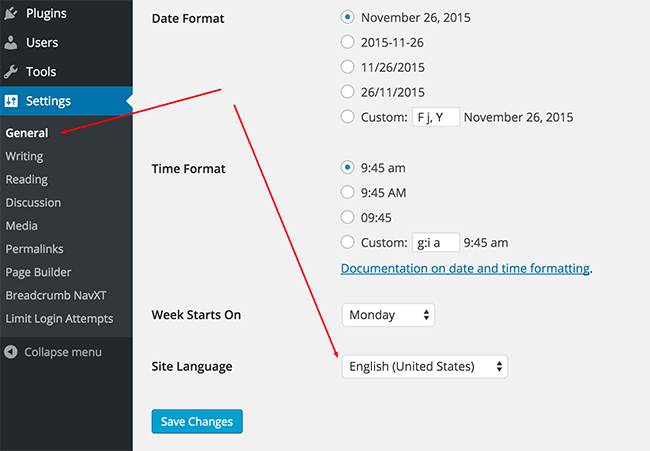 So it’s best to always save translation files to wp-content/languages/themes/.